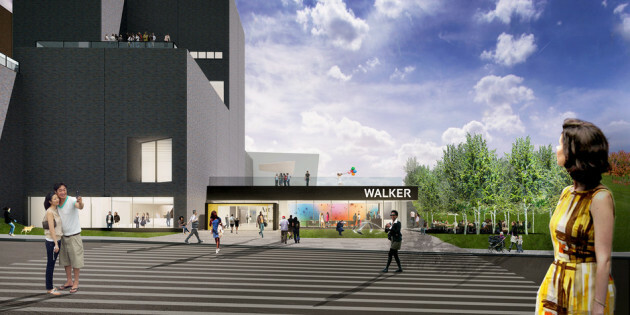 The Walker Art Center just announced key staff positions for its soon-to-open Esker Grove restaurant. Chef Doug Flicker (Piccolo, Sandcastle) will oversee a kitchen managed by T.J. Rawitzer. Flicker and Rawitzer worked together at Flicker’s former Auriga (which was located just up the hill from the museum), and diners will recognize his name – and his skills – from his tenure as the chef who supervised the menus at Tiny Diner, the Third Bird and other Kim Bartmann properties. The restaurant’s bar program will be managed by Jon Olson, a familiar face to regulars at Icehouse. Olson is also a La Belle Vie and Bradstreet Craftshouse vet. He and buddy Adam Gorski are the co-founders of TRUEpenny, which hosts pop-up bar experiences (they're also the winners of the 2015 Iron Bartender competition). Kim Tong has been tapped as the restaurant’s general manager. A longtime Piccolo staffer, her resume also includes stints at Masu Sushi & Robata, Town Talk Diner and the former Five Restaurant and Street Lounge. The restaurant, designed by HGA, the Minneapolis architectural firm, is scheduled to open in December in a new pavilion facing the Minneapolis Sculpture Garden (pictured, above, in a provided photo). It will serve lunch Tuesday through Friday, dinner daily and weekend brunch.